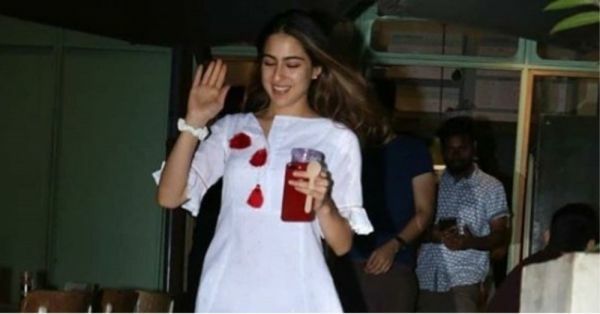 Sara Ali Khan's Elegant Dress Is In A Colour You Will Be Obsessed With Come Summer! There may be numerous ways of looking inexplicably elegant in a dress, but you will agree with us when we say that very few of those come close to a breezy white dress. 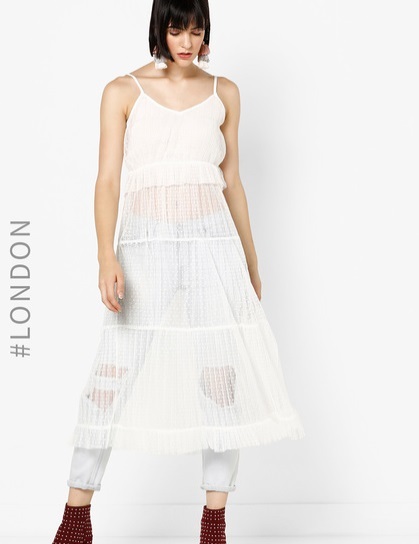 With its crisp appearance and fluid details, a pristine white dress has a certain air of grace to it, and trust us when we say that come summer, you will want to invest in a white summer dress. 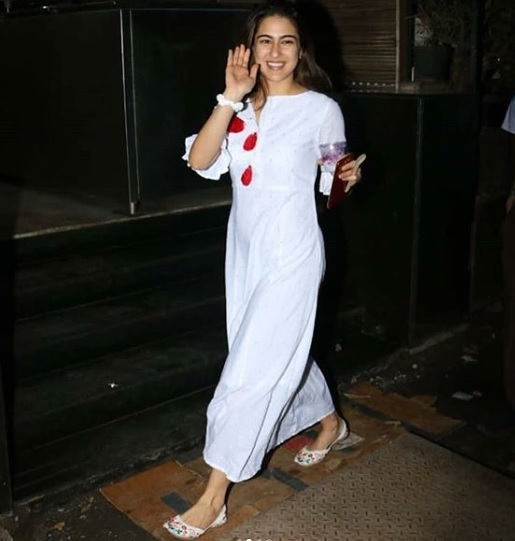 It certainly helps that Bollywood's new star on the block, Sara Ali Khan made a strong case for the white ensemble in her last appearance. 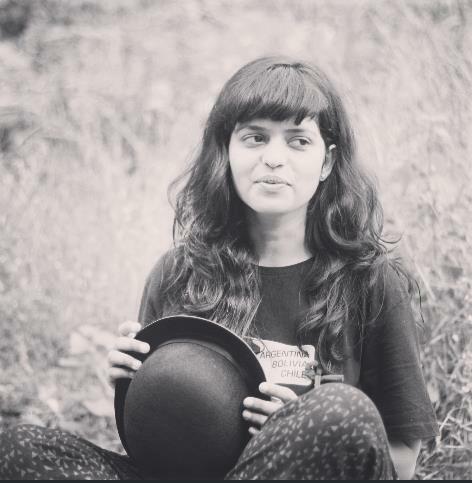 Given Sara's preference for Indian attire (think kurtas, ethnic outfits, and dresses with traditional motifs), her relaxed ensemble only adds to the actress's previous looks, establishing her as a young star who knows how to not take her fashion looks too seriously while looking stunning at the same time. Quite a tricky combination, if you ask us, but Sara Ali Khan knows how to spin it in her favour. 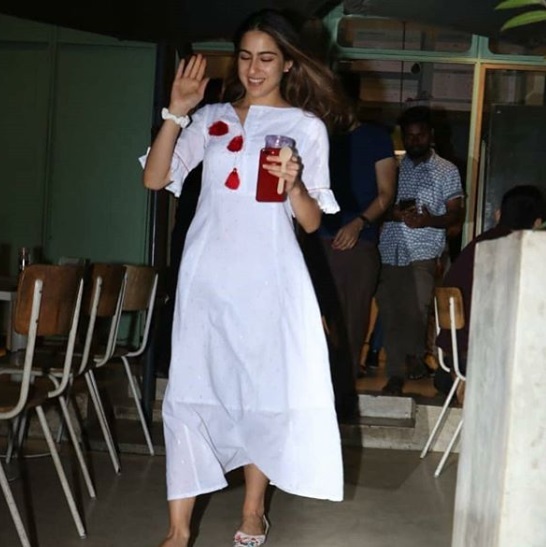 For her recent outing, the young Bollywood actress stepped out in an easy-breezy white maxi dress with red tassels providing a pop of colour at the collar. Her moderately frilled sleeves aside, the simple outfit was a minimalist's dream come true, though striking enough to catch one's eye. As they say, less is more. Keeping her hair and makeup fuss-free, Sara Ali Khan put her best foot forward in a pair of colourful juttis. Giving us all a valuable fashion lesson in keeping it simple yet absolutely striking, the Simbaa actress is surely someone to be on the lookout for when it comes to relaxed fashion. And, in case you were wondering how you could shop for a dress exactly like Sara's, and well in advance for summer too, we've got your back ladies! Go on then, get shopping!